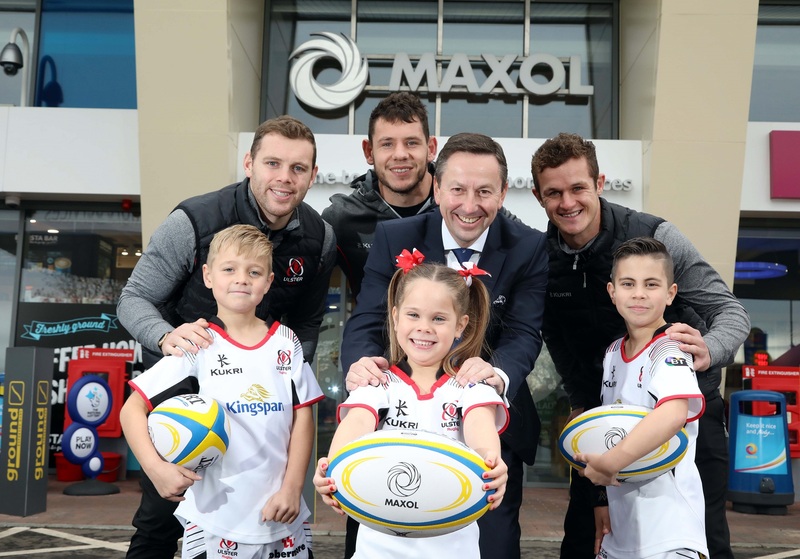 Maxol, Ireland’s leading family owned forecourt and convenience retailer, celebrates the launch of the Maxol Ulster Mini Rugby Festivals for the 2018-2019 season. Now in its fifth year, Maxol’s title sponsorship of Ulster Mini Rugby began in 2013 and offers an ideal fit to reinforce its brand ethos of being ‘at the heart of’ local communities across the country. Eight Maxol Mini Rugby Festivals are held at various rugby clubs throughout the Province, with thirty-two Primary School Mini Rugby teams participating in a four-day Finals Festival at Kingspan Stadium in Belfast, the home of Ulster Rugby. Each year approximately 1,500 6 to 12-year old’s and over 70 primary schools take part in the Maxol Ulster Mini Rugby programme, with the aim of giving local young players their first taste of the sport while also learning the basic skills that go behind it. The participants learn not only how to enjoy team sport but also the importance of living an active and healthy lifestyle. The young people also get the opportunity to meet some of their Ulster Rugby heroes. Brian Donaldson, Chief Executive Officer, The Maxol Group said, “We are delighted to once again be able to support the Maxol Ulster Mini Rugby Festivals. "At Ulster Rugby we really want to give children a taste for rugby at an early age and help to develop and nurture their relationship with the sport. Maxol’s ethos of being at the heart of the community mirrors Ulster Rugby’s commitment to local grassroots rugby clubs across the Province, making them the perfect partner for our Mini Rugby Programme." For more information on the Maxol Ulster Mini Rugby Festival, please visit www.maxol.ie.